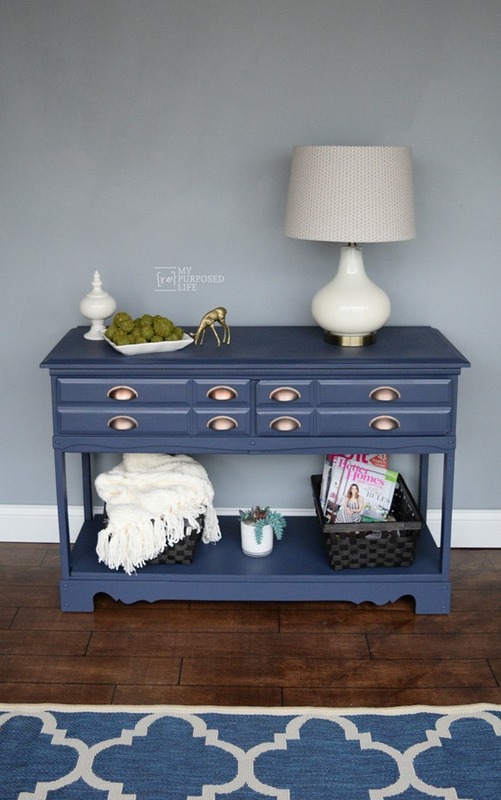 Dresser repurpose ideas are always fun to see. 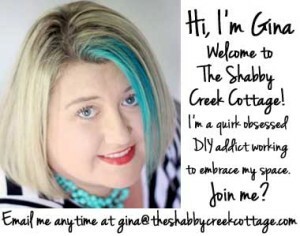 Have you ever come across a dresser at a yard sale or on the side of the road on recycling day that you loved but couldn’t justify a use for bringing home? Have no fear! I’m going to solve that problem today. Make a mental note of these ideas and you’ll always have an excuse to bring home that beautiful chest of drawers! 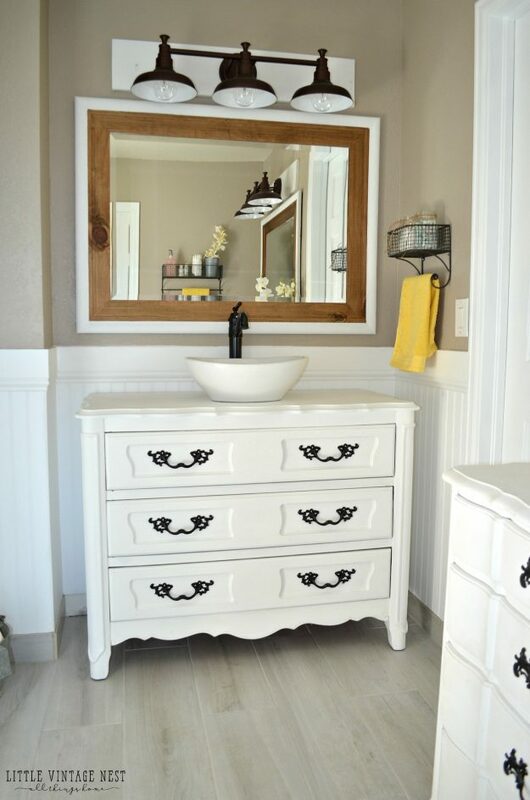 Let’s start with a dresser repurpose into a bathroom vanity tutorial from Little Vintage Nest. Isn’t that gorgeous? I want to try this in our bathroom, too! My Repurposed Life turned an old dresser into a sofa table. 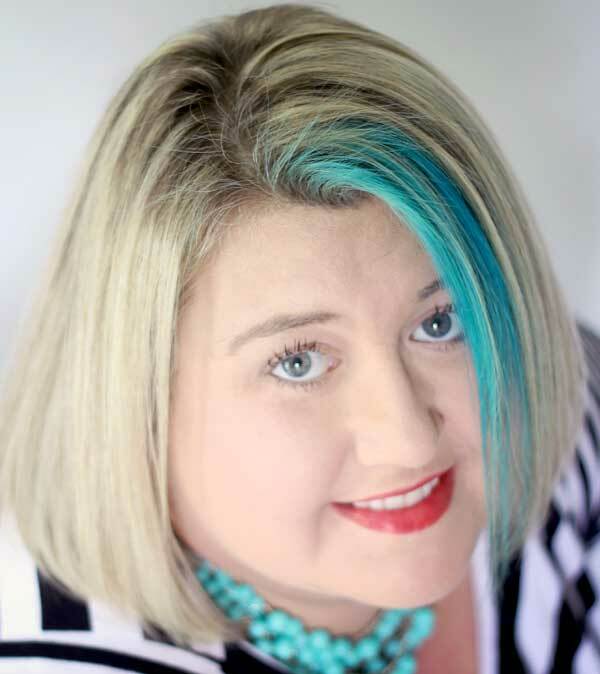 I’m in love with the way the white contrasts the blue. 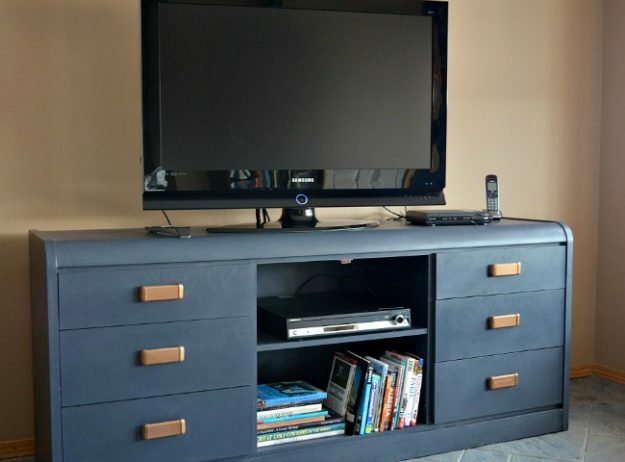 Take a look at this outdated dresser repurpose turned TV stand from Time with Thea. I think it probably had doors in the middle at one time (or at least more drawers). Hashtag Blessed did a great job turning this mid century dresser into a media center. 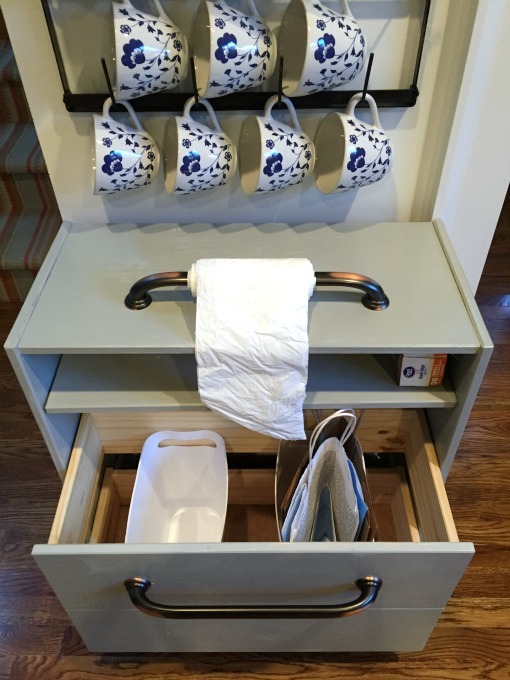 Smart idea for missing drawers on one side. 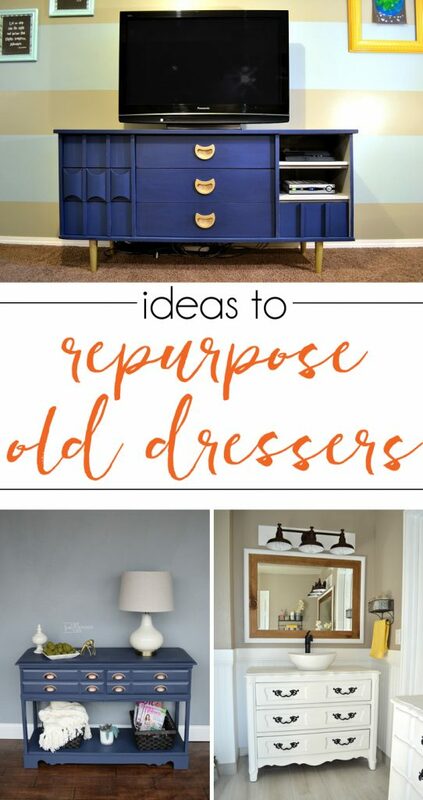 An old dresser can transform your dining room. 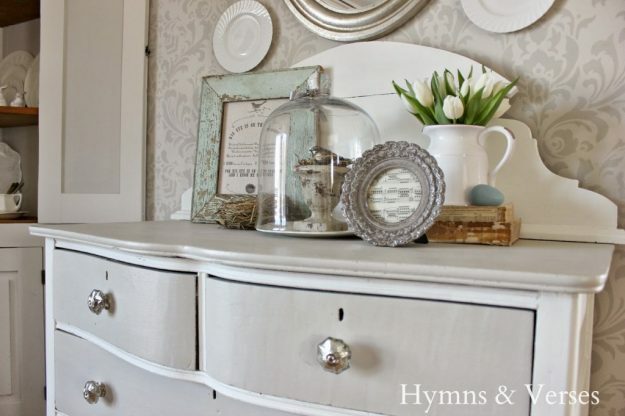 What do you think about this dresser repurposed into a buffet done by Hymns and Verses? 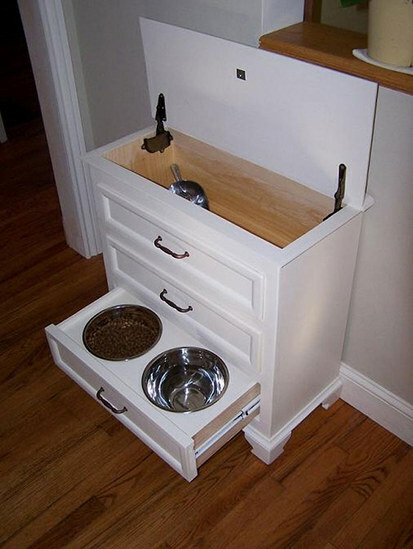 The Thrifty Couple turned this dresser into a pet feeding and care station. 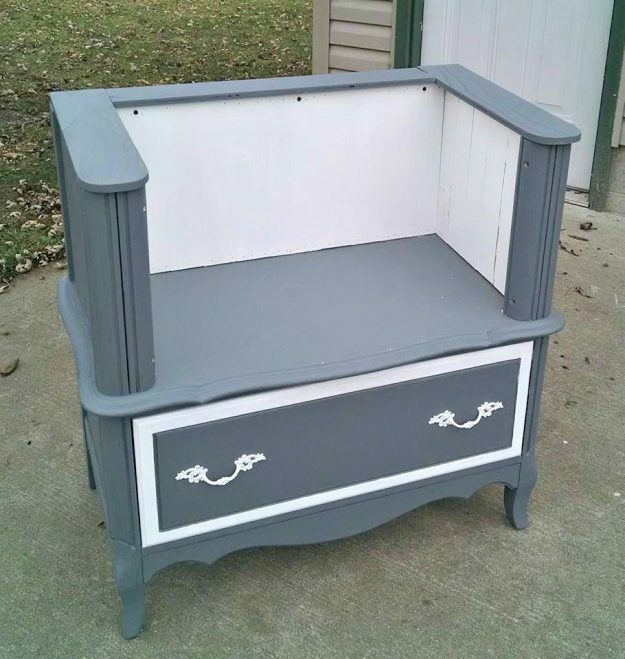 It’s hard to imagine that that was once a dresser! 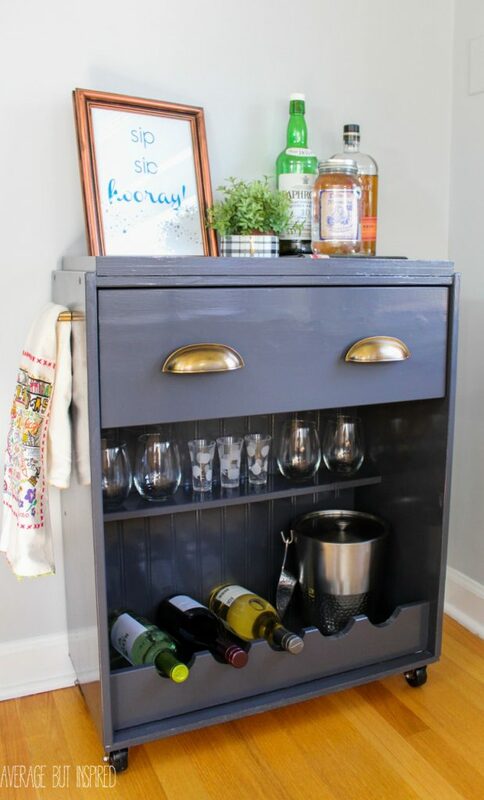 Here’s another fun idea – Average inspired turned a dresser repurpose into a bar cart. So smart! This old dresser on Grillo Designs was repurposed into a bench. I bet it would be pretty with some pillows, too! Have you ever considered turning a dresser into a recycling center like this one on Dogs Don’t Eat Pizza? 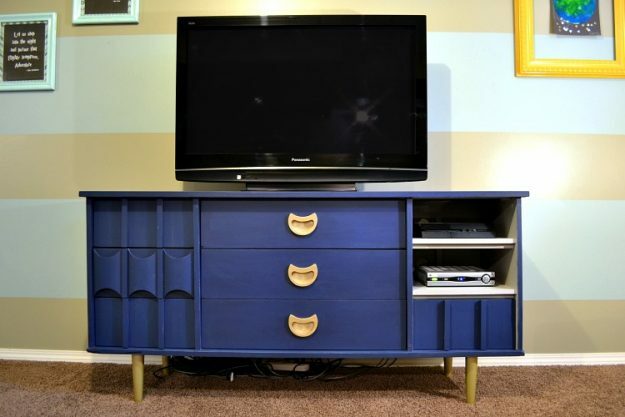 Dresser drawers alone can be re-purposed into some awesome things too. 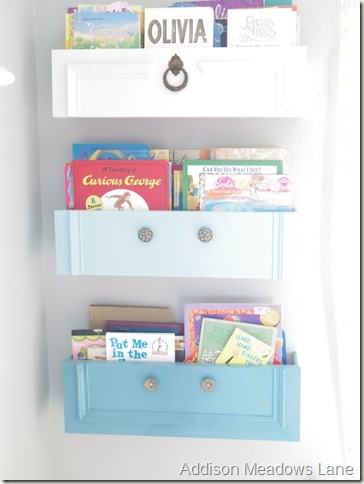 This bookshelf Addison Meadows Lane made from Dresser drawers is so cute! These are only a few great ideas – what can you make out of an old dresser? Thanks for sharing my little cottage style dresser turned buffet. I actually ended up selling that piece and have regretted it more than once! Thank you for featuring my dresser drawers turned into a bookshelf! 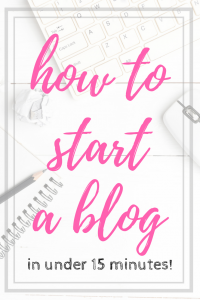 So happy to be included with so many amazing projects.